Enables readers to master and apply the operator-theoretic approach Control of nonlinear systems is a multidisciplinary field involving electrical engineering, computer science, and control engineering. Specifically, this book addresses uncertain nonlinearity. Beginning with how real plants are modeled as operator-based plants, the author develops a systematic methodology that enables readers to understand a quantitative stability result, a critical factor in any nonlinear control system's stability and performance. 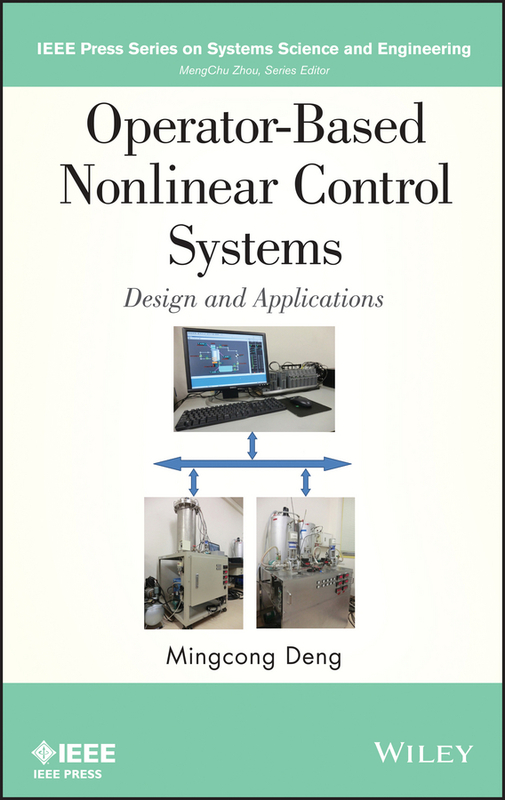 Operator-Based Nonlinear Control Systems: Design and Applications focuses on the operator-theoretic approach, offering detailed examples on how to apply it to network controlled systems. In addition to current research results, the author explores future research directions and applications of the operator-theoretic approach. The book begins with an introduction that defines nonlinear systems. Next, it covers: Robust right coprime factorization for nonlinear plants with uncertainties Robust stability of operator-based nonlinear control systems Tracking issues and fault detection issues in nonlinear control systems Operator-based nonlinear control systems with smart actuators Nonlinear feedback control for large-scale systems using a distributed control system device Throughout the book, discussions of actual applications help readers understand how the operator-theoretic approach works in practice. Operator-Based Nonlinear Control Systems is recommended for students and professionals in control theory engineering and applied mathematics. Working with this expertly written and organized book, they will learn how to obtain robust right coprime factorization for modeled plants. Moreover, they will discover state-of-the-technology research results on robust stability conditions as well as the latest system output tracking and fault detection issues that are challenging today's researchers.